In an effort to avoid the midday sun, my daughter and I biked over to the Marché la Récré [the Recess Market] at Lambert-Closse school this morning. The new Saturday market was held in the school yard, and the merchants had set up their stalls around the edge, but the heat radiating from the tarmac had everyone perspiring. We could smell the merguez cooking a block away, but a merguez sandwich with harissa isn't exactly a good way to cool down. I was surprised to discover that 70s objects are now referred to as vintage. If I remember correctly the specs in the picture below were referred to as Dorothy Hamill glasses, after the famous US figure skater. The blue daisy pin reminded me of the kind of jewelry my grandmother used to wear. I did wonder who would want these things, as most people didn't want them in their day. But seeing things that were so familiar was strangely reassuring. My daughter picked up a purse made with bright orange phentex and snickered. 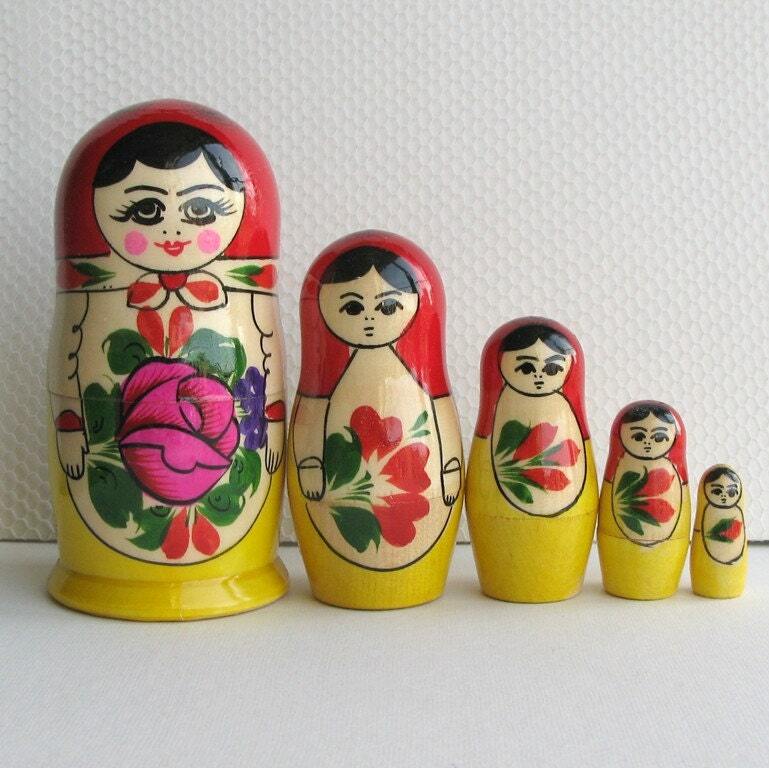 My favourite object was a scratched vintage Russian nesting doll with remnants of the CCCP stamp still on the bottom, but the vendor wanted $20 for it. Would you have paid $20? Pottery, mobiles, jewelry and crocheted and refurbished clothing lined the perimeter of the school yard, but the merchant whose stall seemed to attract the most attention was a man from France selling cotton pillows. They did look soft and inviting. I guess the heat has caused a lot of sleepless nights for many people. 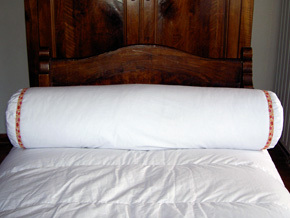 I overheard the merchant trying to sell a traversin, which in no way resembled the classic long cylinder-shaped pillow. Instead, it was shaped more like a crescent moon. He was having some problems explaining its utility to an interested couple, and for some reason, he never actually came out and said that it was a traversin. "You stick it between your legs when you're hot," I heard him say, as I glanced up at the couple who nodded politely, trying not to laugh. I love vintage markets, and I will return in the future, but today, it was just too hot. Besides, my daughter was tugging at my arm. She wanted to do something "fun." : Mile End's New Vintage MarketTweet this!